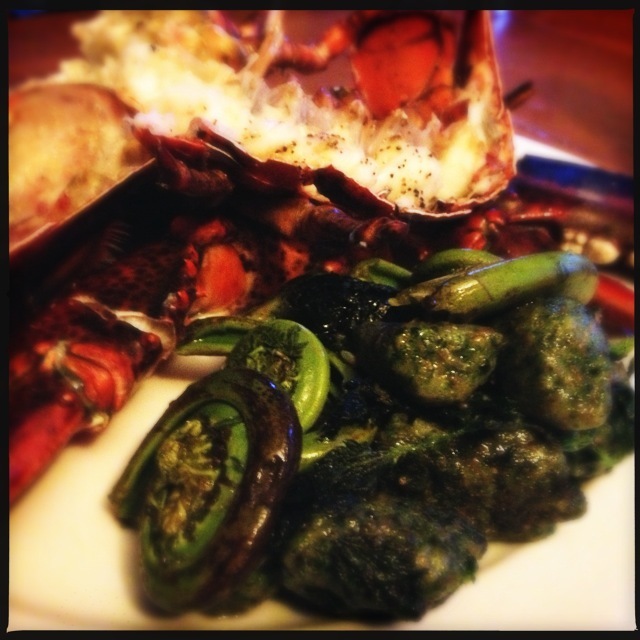 It's mid May here in Maine, so many wild foods including nettle's, are in abundance. This of course, means it's gnocchi season! Although making pasta from scratch seems a bit daunting, it is quite easy to do and the end results will yield a much more delicious end product then anything can come from a box. Stinging Nettle (Urtica dioica) is highly regarded in herbalism for it nutritive properties. High in silica, vitamin A, B, and C, nettle has a rich history of its uses. Nettle leaves can be harvested in the spring and consumed just like any other leafy green. Because of their fine needles, it is suggested to not consume this plant raw, but to quickly blanch in simmering water for just a few minutes before sauting or adding to your recipes. Found the bumper crop of nettles? Simply dry for extended use as a herbal infusion throughout the season. In the fall, nettle rhizome is harvested for its medicinal properties, including prostate health for men. Gnocchi is simple to prepare and can be made in large quantities and frozen until further use. Give this recipe a shot and let me know how they came out. Please note that if nettle is unavailable in your neck of the woods, spinach, although not nearly as nutritious, is a good replacement. Add the prepped potatoes to a pot, fill with cold water,sprinkle in some sea salt, then cook over medium-high heat. Cook JUST until for tender, strain. Run the potatoes thru a food mill, or use a hand masher to mash the potatoes until smooth. Allow to cool to room temperature. Meanwhile, fill a large pot with water (8 cups), add a few pinches of sea salt and bring to a simmer. Once up to heat, add the nettles and cook for about a minute. Remove from the water, drain, and rinse under cold water. When nettles are cool, drain well and puree in a food processor or blender. In a large bowl or on a floured work surface, make a pile of the potatoes. Using a spoon create a well, then add in the chopped nettle, egg, salt, and cover with the flour. Gently begin to incorporate the flour into the potatoes. Mixture should begin to form a ball and be slightly sticky. Knead the dough for just a few minutes, adding a touch more flour if mixture is too sticky. Once your gnocchi dough is kneaded, portion out 1/2 cup amounts and roll out like snake, roughly 1/2-3/4 inches thick. Using a knife or bench scraper, cut 1/2 inch pieces and set aside on a floured baking sheet. Continue until all the dough is portioned. If you do not plan on cooking all the gnocchi, then excess can be placed onto a floured cookie sheet and placed into the freezer. To cook, bring a large pot of salted water to a simmer. Add in small amounts of gnocchi at a time and simmer until they float to the top of the water. Cook an additional minute, then using a slotted spatula, remove the gnocchi from the water and place into a large saute pan with 2 Tablespoons of butter that has been heated over medium-high. Allow the gnocchi to brown slightly before stirring in some warm home made tomato sauce, raw cream, or serve simply, buttered up.